See how Christ-centered, Christ-inspired love can turn a church around. What can turn a struggling church around? What can help a church which has sold out to the culture; which is riven by division; which is dominated by me-first materialism; and which is uncertain about the gospel itself? “Be on your guard”, wrote one church planter to just such a church. “Stand firm in the faith; be men of courage; be strong." So wrote the apostle Paul to the Corinthian church (1 Corinthians 16 v 13-14). This was a congregation which seemed to have lost its way. But Paul did not give up on them. He encouraged them to love their church. And, in the second half of his first letter to them, he showed them how to do this—how to love each other as Christ had loved them. This was the love that could turn the Corinthian church around. And this is the love that all our local churches need. 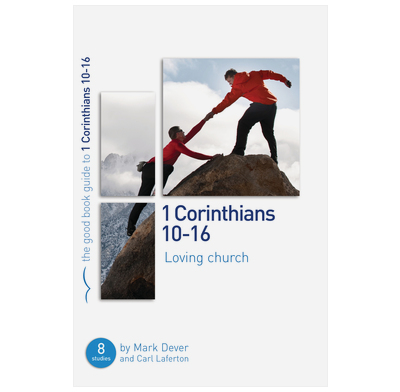 These eight studies in 1 Corinthians 10 – 16 will enable, motivate and challenge you to “do everything in love”, individually and collectively. Why study 1 Corinthians 10-16?